said the country was not completely in the depths of despair, but buoyed with hope that they would yet rejoin their families and loved ones. He specifically expressed hope that with three of the girls recovered by the military and 21 others freed through engagement with their captors, many more would still return as soon as practicable. of the girls kidnapped by Boko Haram insurgents. 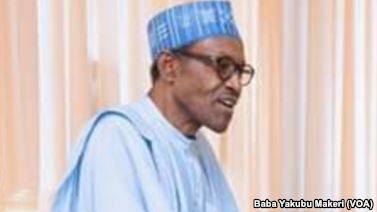 The president also declared that the return of the remaining Chibok girls was a goal his government remained steadfastly committed to. According to him, the intelligence and security forces are unrelenting, and that whatever it takes, his administration remains resolute. “I salute the fortitude of the distraught parents. As a parent also, I identify with their plight. Days turned to weeks, weeks turned to months, months turned to years, and today, it is 1,000 days. The tears never dry, the ache is in our hearts. But hope remains constant, eternal, and we believe our pains will be assuaged. “Our hopes will not be shattered, and our hearts will leap for joy, as more and more of our daughters return. It is a goal we remain.steadfastly committed to,” President Buhari said. “The president commended all those who had/been in the vanguard for the recovery of the/girls, both nationally and internationally”. He said: “Someday soon, we will all rejoice together. Chibok community, Nigeria, and, indeed, the world, will yet rise in brotherhood, to welcome our remaining girls back home.